SIN CITY is a lot more family-friendly than you might think. 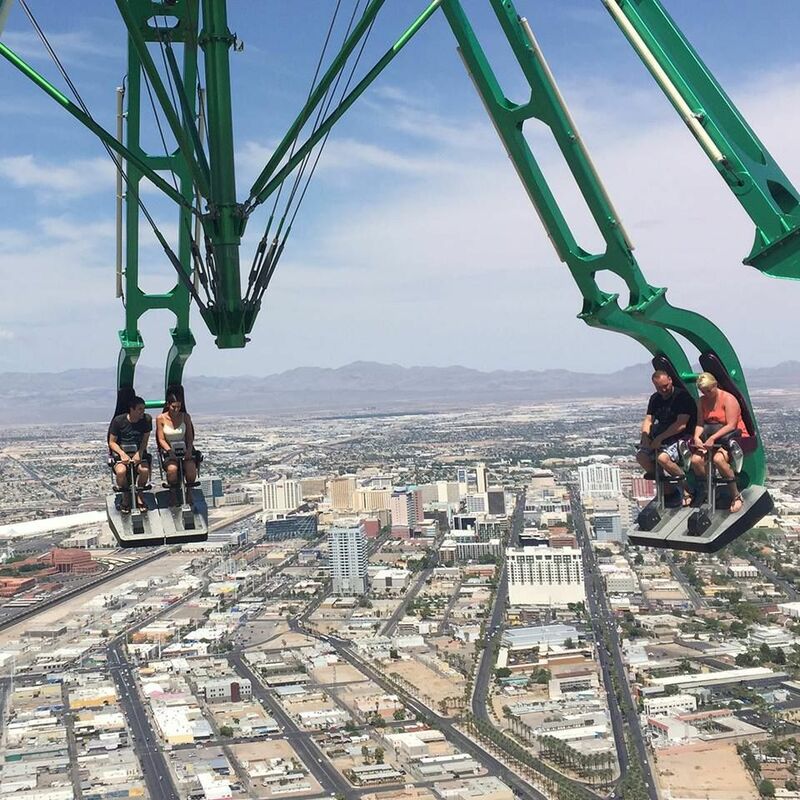 Don’t be afraid to bring the kids along on your Vegas vacation. 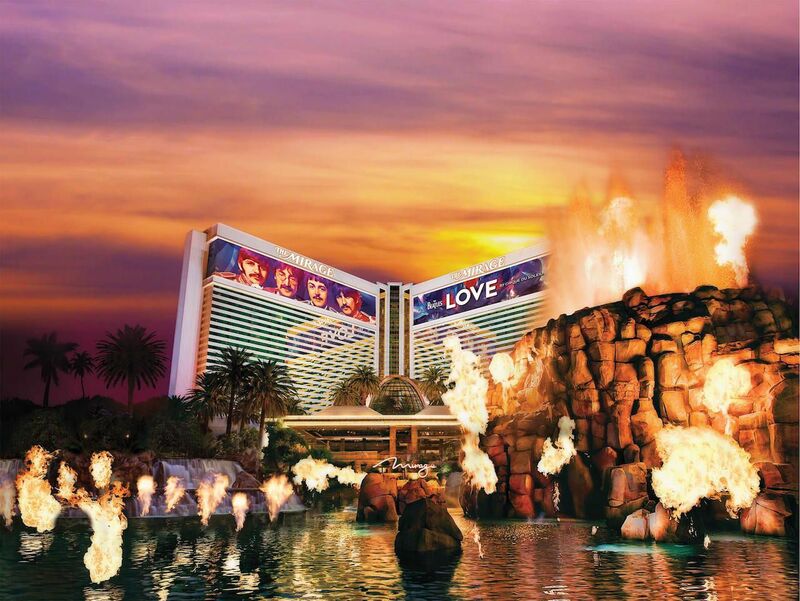 Take them out on the town by checking out some of these uniquely Vegas attractions which are appropriate for all ages. 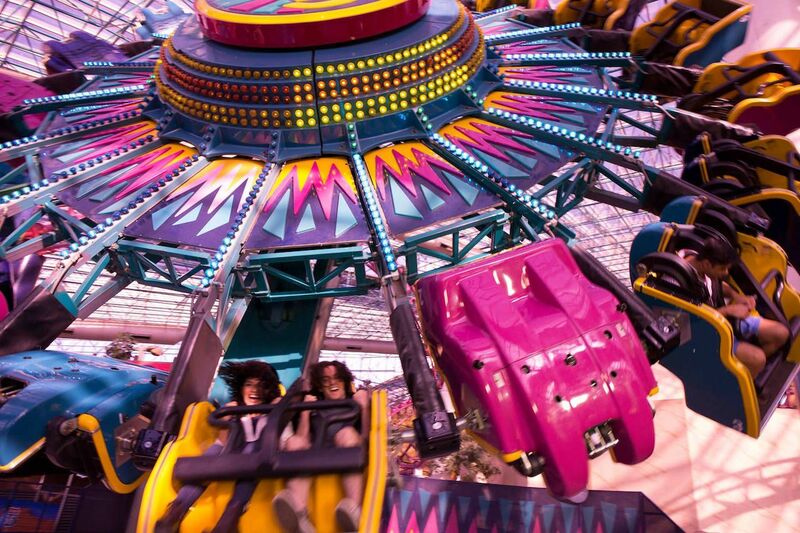 With five acres of indoor fun for all ages, the Adventuredome is the perfect way for a family to spend a day in Vegas — especially when it’s too hot outside to even think. All-day ride passes are a real deal at $32.95 for those 48 inches and taller, and $18.95 for those under 48 inches tall. There are two roller coasters, Batman-themed laser tag, bumper cars, a pirate ship, 4-D Ice Age and SpongeBob SquarePants rides; a Pacific Rim motion movie experience; and many other thrill rides and games to keep the kids entertained all day. Hours of operation: Check the schedule here. Marvel Avengers S.T.A.T.I.O.N. (Scientific Training and Tactical Intelligence Operative Network) is a completely immersive and educational experience that brings visitors into the world of The Avengers. Guests enter the official S.T.A.T.I.O.N. headquarters and dive deep into the Marvel Cinematic Universe with access to exclusive intelligence files, classified studies, experiments that explore the history and scientific origins of The Avengers; and training to become an official agent of the S.T.A.T.I.O.N. You’ll also find an extensive range of Avengers operational equipment on display, including Iron Man’s MK 45 suit, Captain America’s uniform and shield, Ant Man’s helmet, and much more. Afterwards, you’ll probably have to can spend more money at the world’s largest Marvel Avengers retail store. It can get hot in Vegas. Take the kids to a waterpark to cool off at Cowabunga Bay in Henderson or Wet ‘n’ Wild in Spring Valley (both just 20 minutes from the Strip). Cowabunga Bay is especially great for younger kids with a “Kids Cove,” lazy river, splash pool, and a wave pool waves up for four feet high. 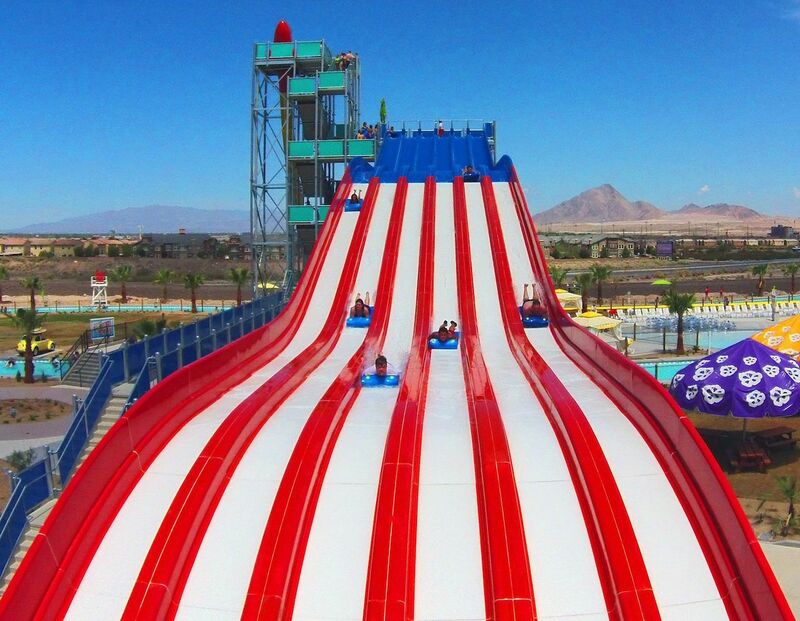 Wet ‘n’ Wild is known for its collection of award-winning slides, including the Hoover Half Pipe, Tornado, and “slideboarding” on Zipp, Zapp, Zoom. They also have dive-in movies, mermaid swims, and Disney character meet-and-greets (check their website for the events schedule). 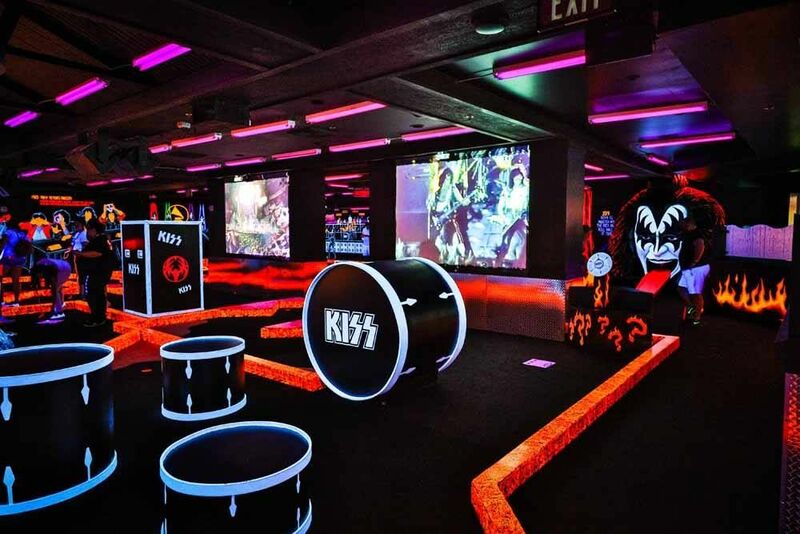 Your kids probably don’t even know who Kiss is, but that won’t stop them from enjoying this elaborate, 13,000-square-foot 18-hole miniature golf course all decked out in glow-in-the-dark paint and Kiss imagery and paraphernalia right down to the final obstacle: Gene Simmons’s tongue. Have fun explaining that one to your six-year-old. 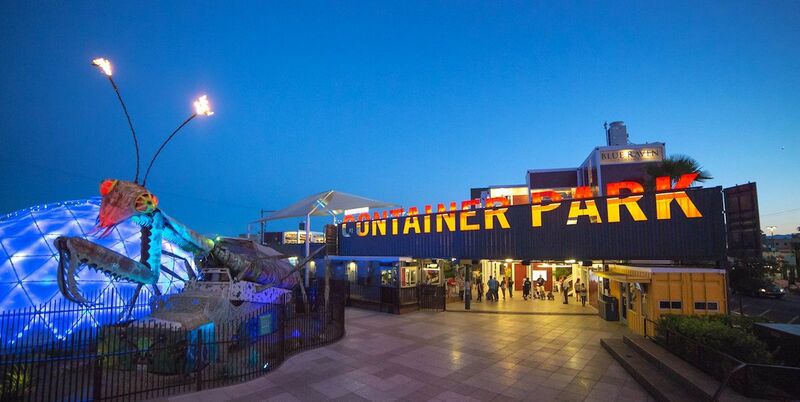 Probably best suited for younger kids, the Tree House and Play Zone, at downtown’s Container Park, features a 33-foot slide, NEOS play system, and a massive playscape surrounding a giant “tree.” The Dome is better for older kids — an immersive 4K visual dome entertainment experience with screenings of exciting short films like Earth Defenders and Dinosaurs at Dusk, and concert videos of bands like U2 and Led Zeppelin. Good luck getting through the chocolate gauntlet on the south side of the Strip, where Hershey’s Chocolate World at New York New York Casino & Hotel and M&M’s World in Showcase Mall face off practically across the street from each other in a giant chocolate candy retail store showdown. 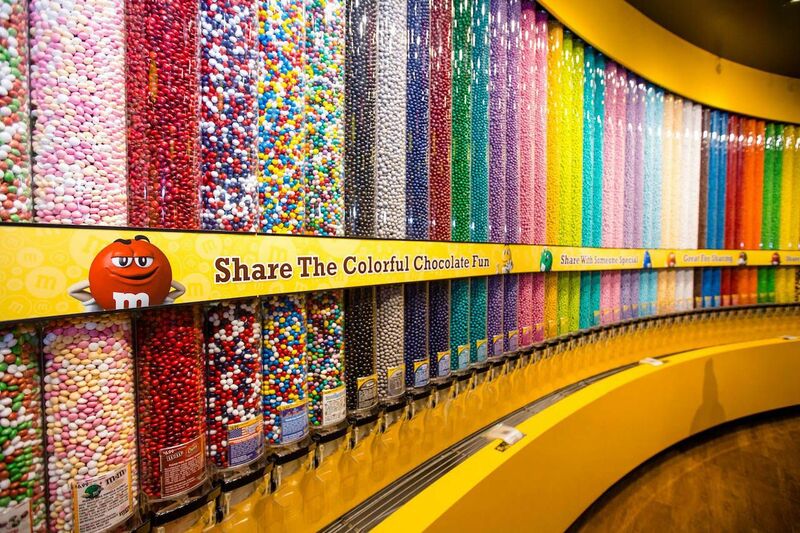 Hershey’s offers 13,000 square feet of chocolate-kissed fun, including a sculpture of the Statue of Liberty made of nearly 800 pounds of Hershey’s Milk Chocolate, while the 28,000-square-foot, four-level M&Ms World features a “rainbow wall,” a movie theatre that screens the 3D “I Left My M in Vegas” movie starring the famous Red and Yellow M&Ms. AND, you can also personalize M&Ms candies with your own message. Where else can your kids take selfies with all their favorite stars in one place? Madame Tussauds is the original celebrity wax museum, with incredibly lifelike wax reincarnations of today’s hottest celebs in music, movies, and sports, including Miley Cyrus, Gwen Stefani, Katy Perry, The Rock, Chris Evans as Captain America, Will Smith, Leonardo DiCaprio, Shaq, and… Chuck Liddell? 9. All the free attractions! Not much in Vegas is free, so wherever you can catch a financial break, you should take it. Fortunately many of Vegas’s free attractions also happen to be among its best: check out The Volcano at The Mirage that explodes every night at 8pm and 9pm (as well as 10pm on Fridays and Saturdays); the dancing Fountains of Bellagio, where more than one thousand fountains shoot water up to 460 feet into the air choreographed to light and music; the seasonally-themed Bellagio Conservatory & Botanical Garden, displaying some 65,000 flowers that take a horticulture staff of 120 people to maintain; and the Fall of Atlantis at Caesars Forum Shops, a much-beloved animatronic display featuring fire, water, nine-foot-tall talking statues, and a 20-foot winged dragon. The Ethel M Chocolates self-guided factory tour takes you behind the scenes at their huge chocolate and candy production facility in Henderson, just a short drive from the Las Vegas Strip. While you’re there you can also take a stroll through the largest botanical cactus garden in Nevada and one of the world’s largest collections of its kind — and all the better to see during the holiday season when all of the cacti are strung with Christmas lights for a very Vegas-style Christmas. The Age of Chivalry is not quite dead yet at Excalibur’s Tournament of Kings, a 900-seat arena theatre that doubles as a dinner show. 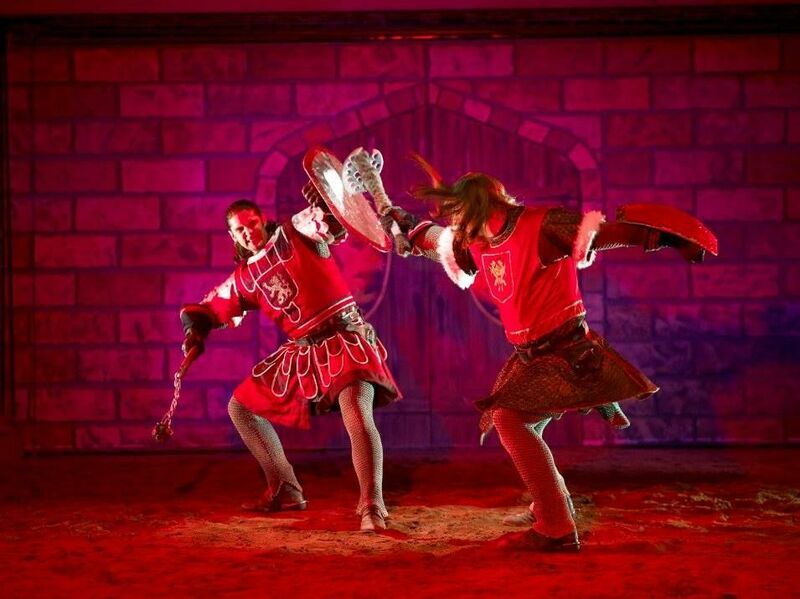 Knights joust amidst pyrotechnics in a tale of valor and treachery, as you cheer for your favorite king and dine on Cornish game hen and other Medieval dining treats with your hands, as they did in the days of yore.